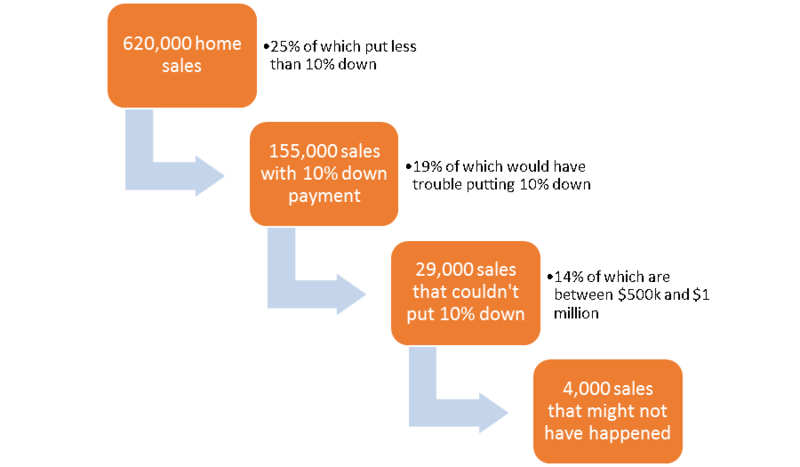 Changes to the Down Payment Scheme – What Do They Mean? On Friday, new Federal Finance Minister, Bill Morneau, announced changes to the down payment scheme in Canada. What are these changes? Who will it affect and how will it affect them? This article aims to answer these questions in a concise manner. As such, this new change only affects homes priced between $500,000 and $1 million. 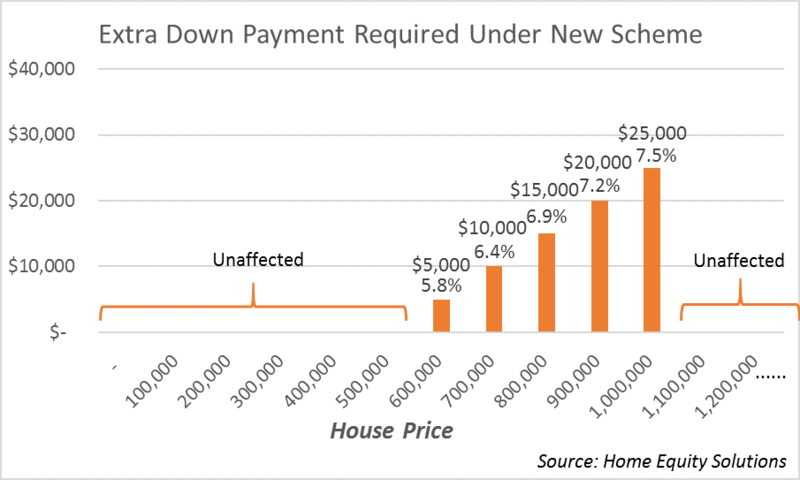 As you can see, a buyer looking to purchase a home that costs just shy of $1 million can expect to put down an additional $25,000 compared to the current minimum requirements (7.5% total down payment at the most). These rules come into effect on February 14th, 2016. Firstly, the Ministry of Finance is looking to mitigate risk stemming from the Federal Government’s exposure to the housing market. Low equity purchasers (5% down payment) are the most vulnerable to a hypothetical negative economic shock that would impact the housing market. Their mortgages are all insured (largely by CMHC), which puts the Federal Government on the hook if the market turns south quickly. By requiring a larger down payment, they are forcing these buyers to have more skin in the game, while at the same time keeping some marginal buyers (those that couldn’t afford more than 5%) out of the market, at least for now. 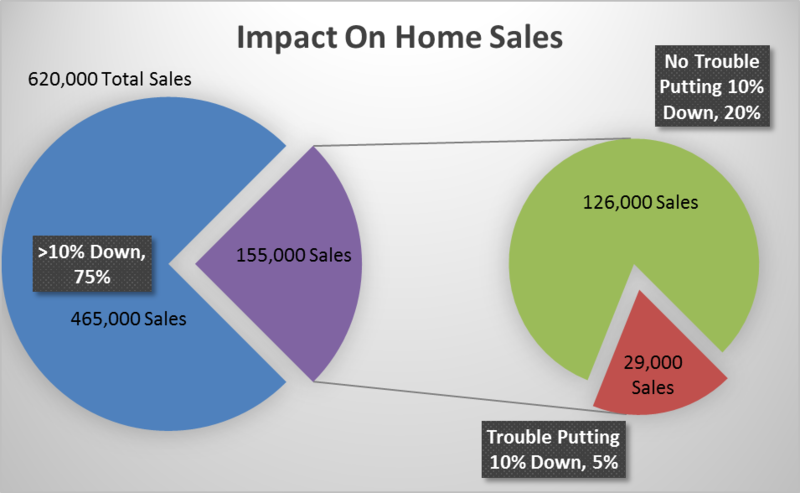 The effect will vary by region and by buyer type. 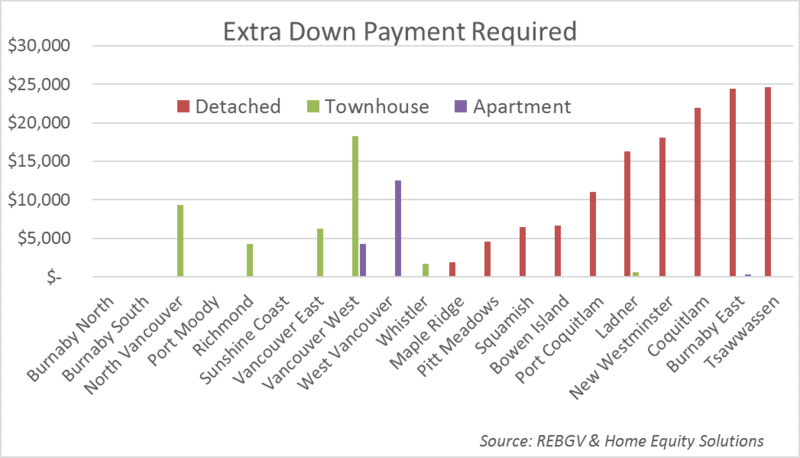 What Regions Will the New Down Payment Scheme Effect? What Will the Effect Be in Different Areas? We should point out that even these numbers can be deceiving, as different unit types in different areas can be negatively affected even though the average price for the region would not be. What Neighbourhoods Will Be Affected? What Groups Does It Effect? 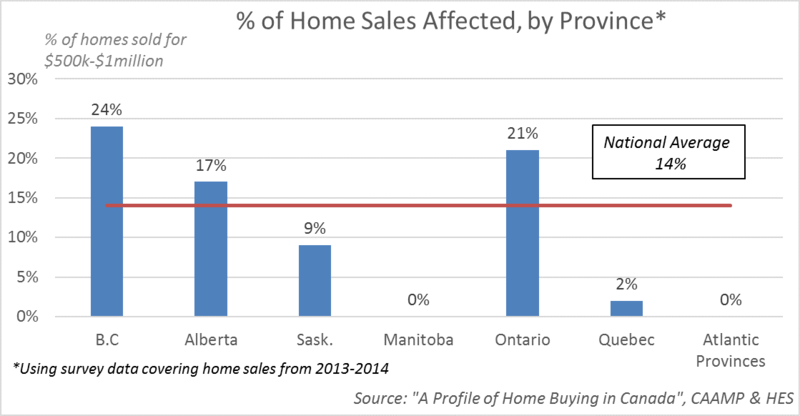 What can we reasonably expect to happen to homes sales as a result of this new policy? The graph below provides an alternative illustration of the concept. The impact of the new down payment scheme will not be felt equally across the country, with different regions, buyer profiles and dwelling types being affected differently. In the grand scheme of things though, only a minimal impact is expected. The specific timing of the policy will likely lead to a small surge in sales in these areas prior to the its implementation and a subsequent lull, but will not likely have a sizable impact on annual numbers. That being said, while annual sales and price data may not show a significant effect, some families will certainly feel one.